The third major restyle of what is generally considered the first generation Mustang occurred in 1971. Unfortunately the Mustang kept getting heavier, larger and styling significantly more ridiculous in each redesign, such that the 1971 Mustang was not really a pony car anymore, it was more of a Clydesdale on Lasix. 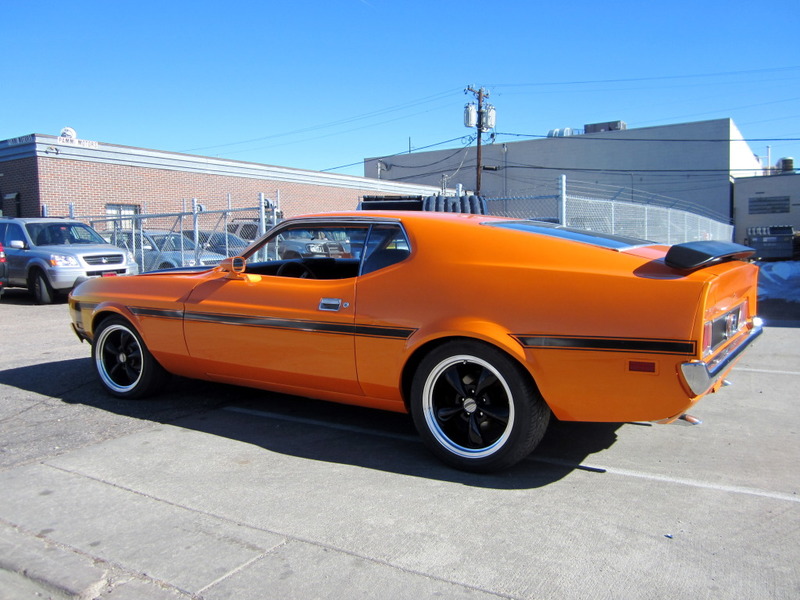 This 1973 Ford Mustang Mach 1 Fastback is for sale in Denver, CO currently bidding at $7,055 reserve-not-met or $17,900 buy-it-now. 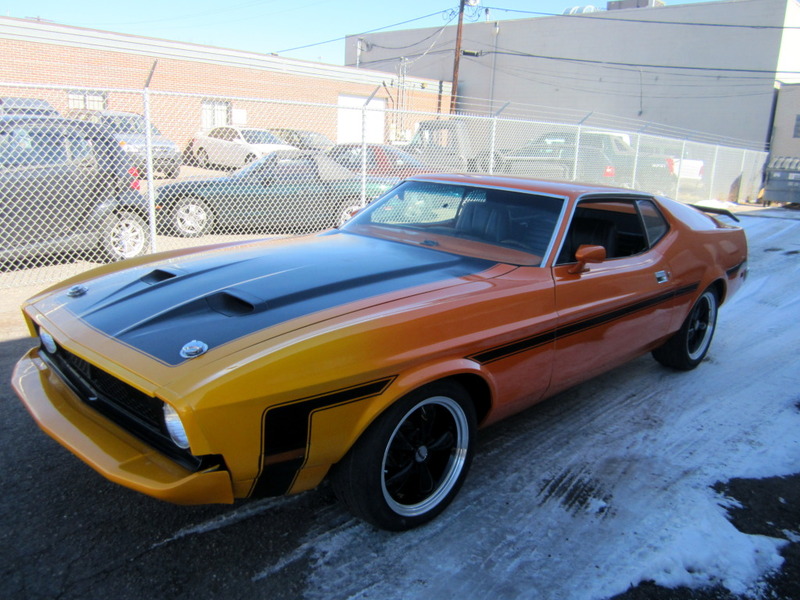 This Mach 1 has been given a recent restoration that includes a custom yellow-fades-to-orange paint scheme that at first glance looks like an optical illusion. We'd have preferred to keep the entire car the yellow color on the nose to make a replica Gone in 60 Seconds car...and we aren't talking about the Nicolas Cage remake - we are referring to the 1974 classic written, starring and directed by H.B. Halicki. A lemon yellow 1971 Mach 1 was crashed into pieces on the streets of the South Bay Los Angeles area - if you haven't seen this movie, get a copy and watch it tonight! 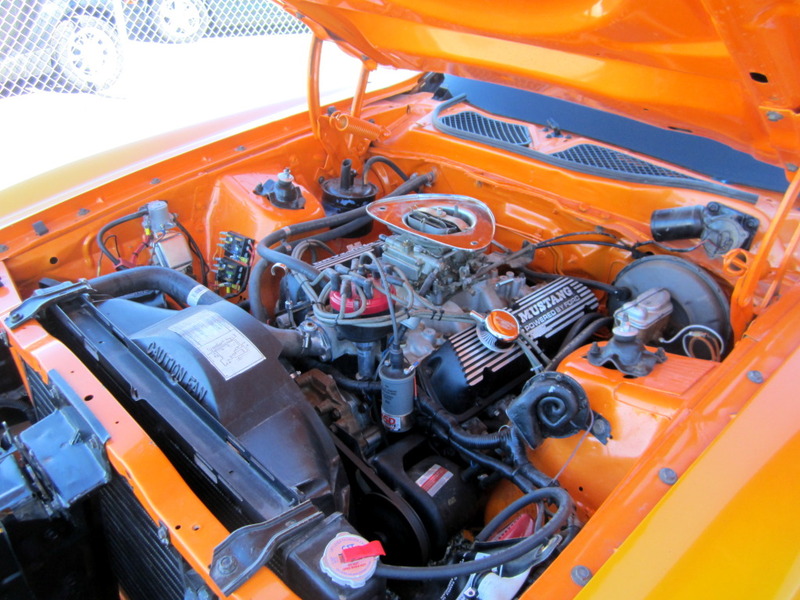 This Mustang's 351 windsor V8 has a few bolt-on parts and is probably putting out something in the realm of 350 horsepower. It is mated to a 4 speed manual transmission and should be good for all kinds of donuts, burnouts and generally impressing the neighbors. The inside has been recently renovated, the seats, carpet and headliner are new, but for some reason the shifter boot is missing and shows the carpet seams. The thick wooden steering wheel is connected to Ford's sloppy-when-new single ratio steering box, so don't expect this 3600 lb harvester to do anything other than plough in the corners. It wasn't until 1974 when the Mustang II appeared that the original pony car finally got a rack-and-pinion setup worthy of its sporty looks. 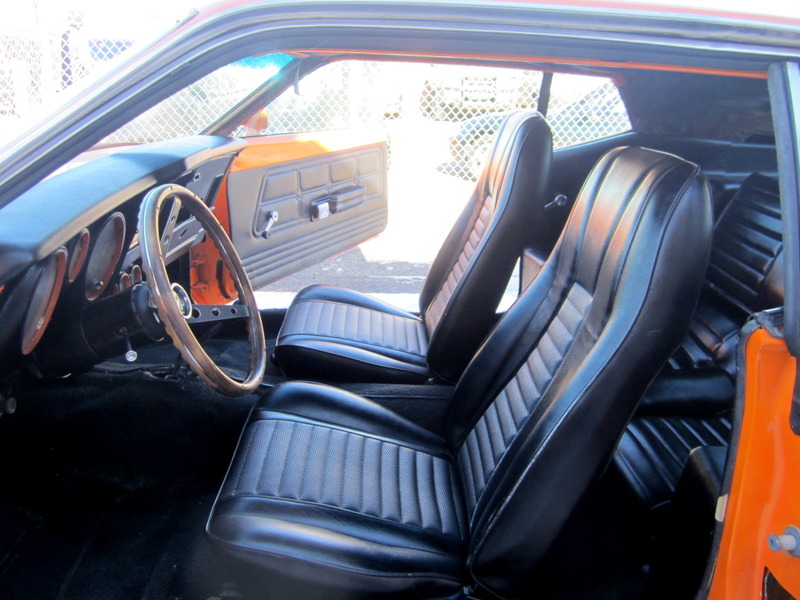 1973 was the last year of the old mustang, before it was transformed into the much maligned Mustang II. It was huge, extroverted and today doesn't hold the values that the pre-1970 Mustangs see. As a result they are rarely seen on the road today but will attract a crowd wherever they go.